The importance of combating terrorism and defeating the Islamic State is forcing European countries to rethink the sanctions they imposed against Russia at the behest of the US last year, writes Fiscal Times. 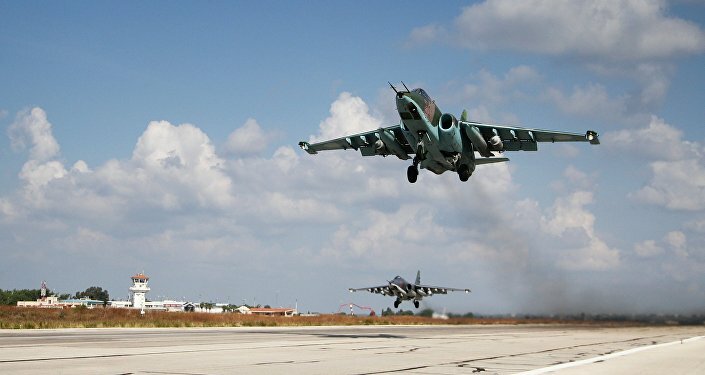 Russia's efforts to defeat the Islamic State terrorists which threaten the security of the Middle East will lead European leaders to correct the course they began last year, when the countries of Europe, under US leadership, decided to impose sanctions against Russia, reported the Fiscal Times [TFT] last week. "It's going to become increasingly difficult for Western countries to continue applying economic sanctions to Vladimir Putin's Russia as his military takes on an increasingly important role in the battle against ISIS," the news website wrote on Thursday. The sanctions against the Russian economy put in place last year after Crimea ruled to leave Ukraine and become part of the Russian Federation were part of an effort led by the US government, and its European adherents were always less enthusiastic, remarks TFT. "The mutual resolve of the West was never without cracks. The effort was led, in large part, by the United States, and the US, relative to many European countries, had very little to lose in cutting off lanes of commerce with Moscow. US trade with Russia makes up a trivial percentage of the country’s GDP." Many politicians in France, whose government also refused to carry out the delivery to Russia of the Mistral-class helicopter carrier warships, are now calling on President Hollande to lift sanctions against Russia, in order to enable all sides to concentrate their military and diplomatic efforts on the pressing fight against Islamic terrorism. Former French president and leader of Les Republicains party Nicolas Sarkozy has spoken out against the attempted isolation of Russia by the US government, as have former French Prime Ministers Francois Fillon and Dominique de Villepin. Last week French President Hollande telephoned Russian President Vladimir Putin ahead of his visit to Moscow this week, where the leaders will discuss cooperation in the fight against terrorism, including their coordination of airstrikes against the Islamic State in Syria. On Wednesday RIA Novosti reported that Russian warships in the Mediterranean Sea will also work to defend the Charles de Gaulle aircraft carrier in the eastern Mediterranean, after President Putin ordered Russian forces to work together as allies with their French colleagues. "The main task for the warships operating in the Mediterranean is to ensure combat capabilities, that is, all kinds of defense – against attacks from aircraft, from ships, and other diversions," a source told the agency.